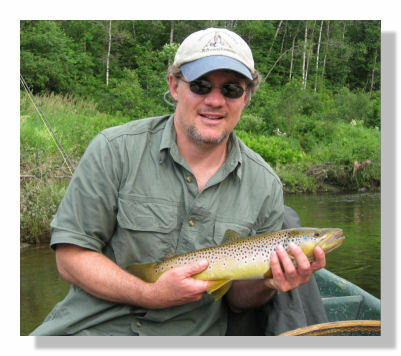 Based out of Colebrook, New Hampshire the ‘Osprey’ delivers some of the finest fly fishing to be had in the northeast. The cool clear headwaters of the upper Connecticut and Androscoggin Rivers are like a page out of time. Bordered by rolling farm land and/or majestic forests each provides a magnificent background in which to cast a fly. 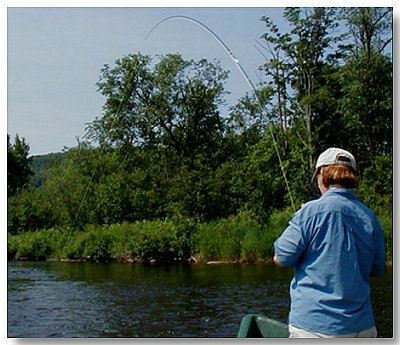 Whether the gravel riffles, boulder filled runs and dark mysterious pools of the Connecticut, or the brawling free stone pockets of the Androscoggin, the angler is assured of fishing over trophy size trout. 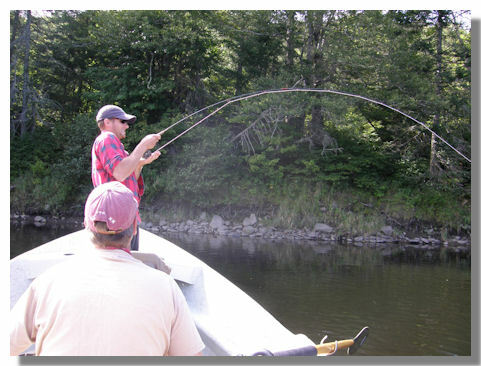 With New Hampshire's state record brown trout and rainbow trout better than 13lbs both taken from the upper Connecticut River, the angler’s chance of hooking up with a trophy is always a possibility. Towards this end we strongly advocate ‘catch and release’ fishing in both rivers by all who fish them. The unspoiled beauty of this part of Northern New Hampshire offers a chance to fly fish blue ribbon water at a leisure pace. These magnificent waters have yet to see the numbers of fishermen found on other rivers in the East and remain one of New England's best kept secrets. While you wait your guide will set up the equipment with a fly that 'matches the hatch' and equipment for the water depth needed to be successful. 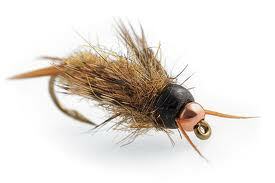 While watching the trout chasing the mayflys and caddis which dance above the water you cast your fly to a nice boil indicating a good trout or salmon lies below. Come join us aboard Osprey I or Osprey II for a day of guided fly fishing in Northern New Hampshire that you will long remember. 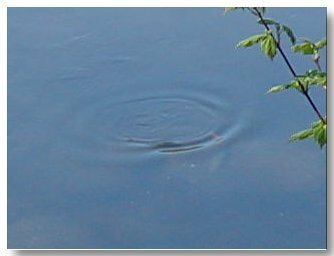 Bring your favorite fly rod(s) or use one of ours to cast to large brown, rainbow, or brook trout in these clear cool waters. We supply all terminal tackle including leaders, tippet, and flys to assure you of a pattern that matches those that catches fish in our waters. Using the knowledge provided by your guide you can avoid the tedious process of changing flys every few minutes to find what works. We live and fish here year round so we know what works to have you hooked up into a wild trout in a river that appears to be a far from civilization.